Sydney’s Royal Botanic Garden was founded 200 years ago this year. Throughout this time, while the collection of species from around the world has flourished, little value has been placed on the timber produced along the way. The Treecycle 2016 exhibition looks to redress this by celebrating the sustainable recycling and reuse of some of the Garden’s significant trees which have died naturally, been pruned or felled due to disease. Gerringong’s Ginny and Leon Sadubin are the curators and instigators of the project. Ginny has been a volunteer guide at the Sydney Botanic Gardens ever since the Sydney Olympics. During that time she has got to know the Gardens well and the people who work there. Three years ago she noticed an Australian Red Cedar – planted in the mid 1820s – was having large dead branches removed. The head arborist asked if her husband Leon, an acclaimed designer, furniture maker and sculptor, would be interested to use them. This was the spark that resulted in Treecycle. It built on the concept of an exhibition Leon curated for the Royal Botanic Garden, Sydney in 2010 called the Kauri Project. Thirty woodworkers were invited to make special pieces from a Kauri, which had been planted in the gardens in 1860 and had died as a consequence of the roosting habits of flying foxes. Treecycle 2016 uses the wood of more than 20 species harvested from the Royal Botanic Garden Sydney, the Australian Botanic Garden Mt Annan and the Blue Mountains Botanic Garden Mt Tomah. The Sadabin’s curator role has entailed supervising the milling, selecting the participants, organising the selection and pick up of seasoned wood, and finally directing an exhibition event. They selected a broad range of woodworkers representing current practice in this medium. 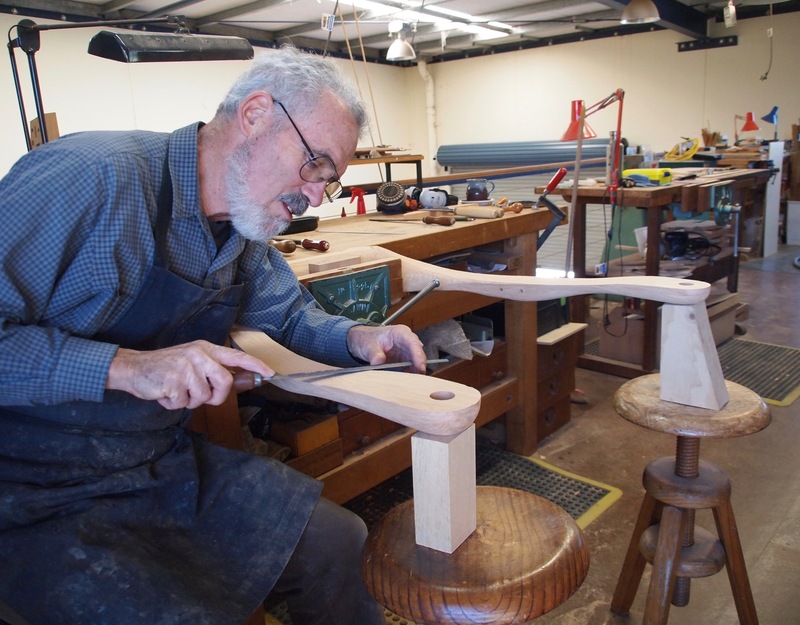 These include other makers from Gerringong: master craftsman, furniture designer and maker David Upfill-Brown, and emerging woodworker Harry McInnis. Other South Coast participants are mid-career furniture maker Thirston Morris, and emerging maker Mel Allen from Nowra; noted sculptor Michael Purdy from Woodhill near Berry; and Elise Cameron-Smith, a miniature boat builder and wood carver, and Aidan Morris, furniture maker and creator of special sideboards from Unanderra. 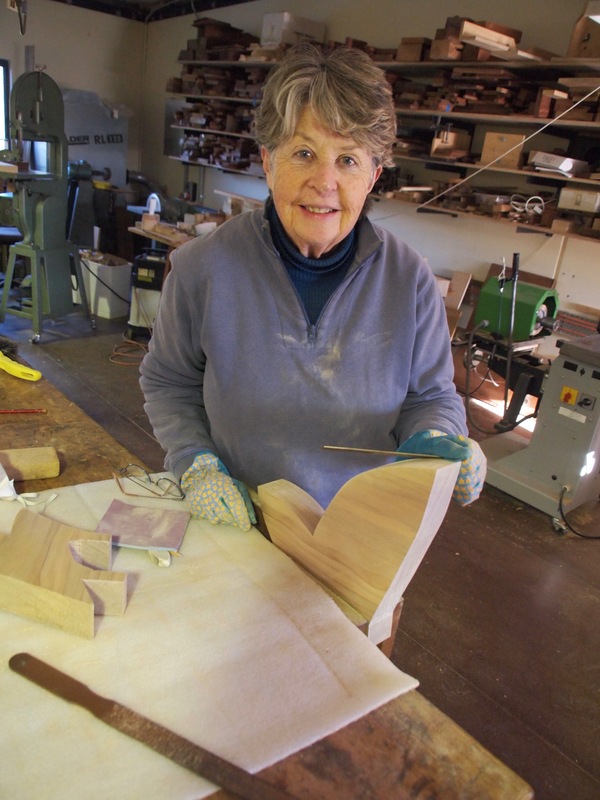 “The creations reflect the extraordinary diversity possible when skilled artisans work with such interesting timbers,” says Ginny.